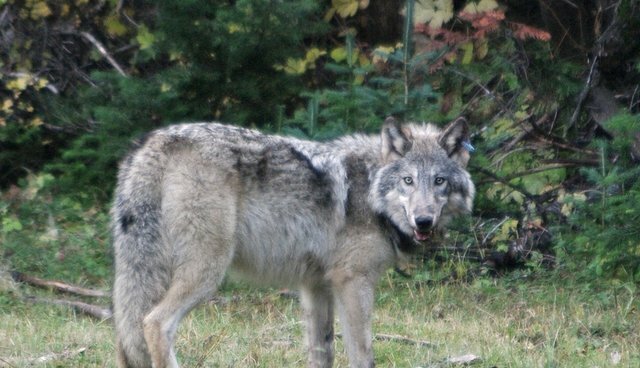 A friend just sent me more evidence that we should be thanking wolves instead of hating them. I received a link to an article about Pat Shipman, a retired anthropologist from Pennsylvania State University, who theorizes that early humans domesticated wolves into wolf-dogs that helped with hunting. This wolf-human alliance gave our ancestors an advantage over Neanderthals, another predator and a competitive species. With help from wolves, early humans survived, Neanderthals did not. Scientists estimate that modern humans evolved in Africa about 70,000 years ago. When our ancestors reached Europe about 45,000 years ago, they encountered the Neanderthals who dominated that continent. Within 5,000 years, Neanderthals had disappeared. Some scientists believe that climate change caused their demise. But Shipman's new book, "The Invaders: How Humans and Their Dogs Drove Neanderthals to Extinction" presents a ground-breaking alternative. "At that time, modern humans, Neanderthals and wolves were all top predators and competed to kill mammoths and other huge herbivores," Shipman told Robin McKie, of The Guardian. "But then we formed an alliance with the wolf and that would have been the end for the Neanderthal." According to Shipman, "Early wolf-dogs would have tracked and harassed animals like elk and bison and would have hounded them until they tired. Then humans would have killed them with spears or bows and arrows." In addition to helping with the hunt, wolf-dogs would have kept rival carnivores and scavengers from stealing the kill - just as wolves protect their kills today. Wolf-dogs and humans benefitted from this remarkable partnership. "This meant the dogs did not need to approach these large cornered animals to finish them off - often the most dangerous part of a hunt - while humans didn't have to expend energy in tracking and wearing down prey. Dogs would have done that. Then we shared the meat. It was a win-win situation." These ancient wolf-dogs were not the same as modern wolves or modern dogs, though they had similar characteristics. Shipman told Simon Worrall of National Geographic that wolf-dogs were built for hunting: They were large, equipped with big teeth and a great sense of smell, and could run long and fast. Shipman found no evidence that Neanderthals joined forces with wolves. As she told Worrall, "They continued to do things in the same old Neanderthal way as life got hard and times cold. They continued to hunt the same animals with the same tools in the same way. And that lack of adaptability may have been a telling failure as [modern humans] moved in. If you then add in wolf-dogs, Neanderthals were at a terrific disadvantage." As I see it, ancient wolves were intelligent enough to grasp the advantage of working with our primitive ancestors. Ancient wolves were generous enough to share their hard-earned kill. Ancient wolves were brave enough to make what Mark Derr calls "a leap of friendship" with a competitive species. We should not forget the debt we owe these fine and essential creatures. Rick Lamplugh is a wolf advocate and author of the bestselling "In the Temple of Wolves: A Winter's Immersion in Wild Yellowstone." Available as eBook or paperback or as a signed copy from the author.